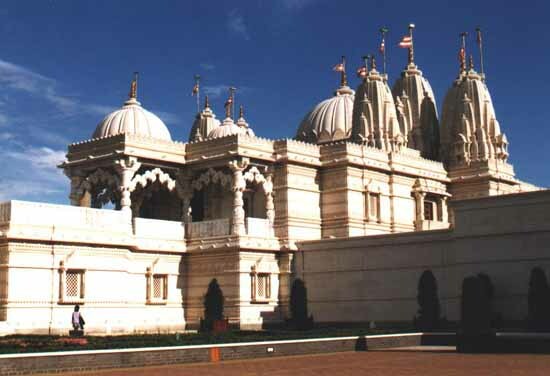 Shree Swaminarayan Mandir, the largest traditional Hindu temple outside of India is a masterpiece of exotic design and workmanship that rises in Neasden, London . It covers an area of 6,071 m2 (65,347 sq ft) and was built using 26,300 pieces of stone. Deities and motifs spring from the walls, ceilings and windows, representing the sacred faith and beliefs of a people that date back over 8,500 years.